Thank you Sara McClosky for taking the time to interview Christine DiBlasio, Eileen Mann and Nancy Keller of The Safety Team, and for putting together a comprehensive piece on the team, our program with Saint Michael’s College, and the on-going issues of personal protection and safety for women. Check out the March 1, 2017 broadcast here. Thank you to the Laura Kate Winterbottom Fund for supporting us. The 10th Annual Laura’s March on September 10, 2017 was a wonderful experience. To be in the company of others who are working to end sexual violence was both humbling and inspiring. Click here to view pictures from the March and to listen to Christine DiBlasio, president of The Safety Team, as she shares our story with the marchers. Ned Winterbottom of the Laura Kate Winterbottom Foundation and Nancy Keller of The Safety Team join Julie Kelley on WCAX’s “The :30” to discuss the 10th Annual Laura’s March, and how Laura Winterbottom’s death has inspired others to take steps to end sexual violence. Click here to see the full interview. A big thank you to Not All Women for having The Safety Team member, Hillary Boucher, on for an interview. Check out episode 13 to hear Hillary’s interview. (Hillary begins around 26 minutes). Give Not All Women a like on Facebook or check out their other podcasts. Hillary’s podcast made The AV Club’s list of the top 15 podcasts for the week of February 15, 2015. Click here to learn more. The Safety Team members Darcy Richardson Miller and Christine DiBlasio were interview by Fox44 about their emerging work on college campuses. The Safety Team member Nancy Keller was interviewed by Fox44 following an attack on a woman at a parking garage in Burlington, Vermont. Sincere thanks to reporter Sarah Tuff for her comprehensive interview about our program in Vermont Black Belts Arm Women with Self-Defense Skills. 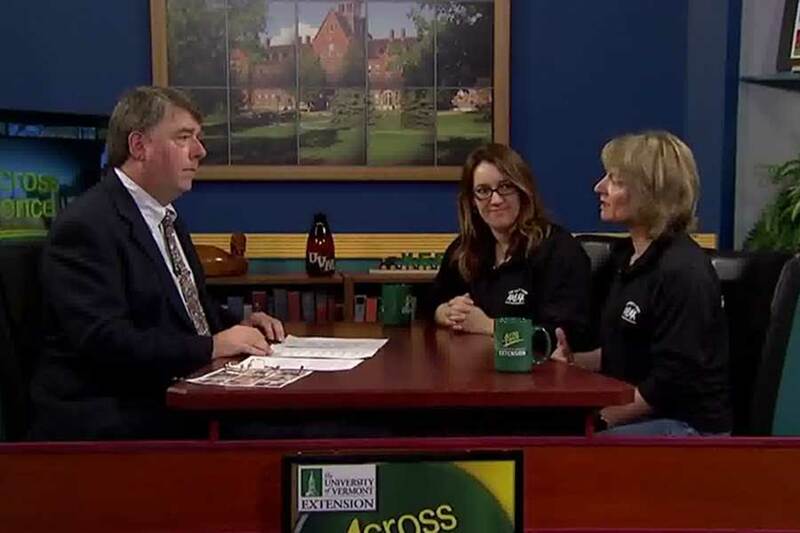 The Safety Team members Darcy Richardson Miller and Christine DiBlasio were interviewed on WCAX’s Across the Fence Program. Sarah Tuff discusses her interview with The Safety Team in a segment on WCAX: Teaching Women Self-Defense. The Safety Team was interviewed about our programs and then shared tips about how to enhance your safety, especially during the holidays in Vermont Women’s Safety Group Advises Caution During the Holidays. A sincere thank you to all who help support our programs! Welcome to our website! The Safety Team, Inc., is a 501(c)3 Vermont nonprofit organization dedicated to the safety, empowerment, resiliency, and well-being of women. Our team consists of seven highly skilled women who are committed to this mission. We welcome inquiries and would be happy to share information about our courses. 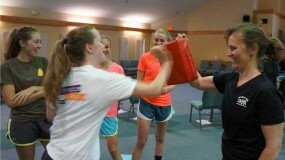 Please contact us at Christine@TheSafetyTeam.org to learn more about our self-defense program. While we offer a variety of workshops focused on enhancing the safety and empowerment of women, we also collaborate with other organizations that share our broader mission of enhancing the well-being, leadership abilities and resiliency of women. Click here to check out our blog! Copyright © 2019 · The Safety Team · All rights reserved.